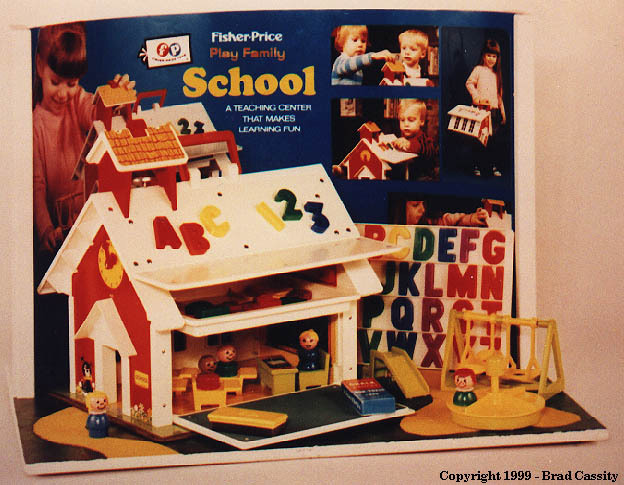 Description: This is a display unit that was sold to retail stores to display the #923 Play Family School to store customers. The #923 School and all of the accessory pieces that were sold in the #923 are permanently attached to the display. This display unit is very hard to find. Rectangular pressed wooden display board with a #923 School base and accessories permanently attached. The display board has a pressed wooden backdrop with pictures of the #923 set.